When bleeding occurs an injury such as cutting yourself, or maybe surgery the body under normal conditions would act swiftly to stem the blood flow from the wound. It does this by sealing the break in the blood vessel. Cells called platelets form at the break in the blood vessel wall and act as a plug. the platelets then produce a chemical that activates clotting factors in the blood to form a protein called fibrin (a protein involved in the clotting of blood). Vitamin K (Phytomenadione) has an important role to play. Together with several blood clotting factors act on a substance called fibrinogen and convert it to fibrin. Strands of fibrin become entangled in the platelet plug forming a blood clot to stop the bleeding. It is then up to an enzyme in the blood called plasmin (degrades fibrin clots) which ensure clots of blood are broken down after the site of injury no-longer needs them to stem bleeding. Unfortunately there are some disorders that prevent clotting occurring such as coronary artery disease. Fatty deposits (atherosclerosis) on the walls of the coronary arteries can disrupt the blood flow, giving a tendency for platelets to clump together or create clots uncontrollably. If clotting of the blood does not occur after an injury that causes a bleed then the individual concerned is in danger of serious blood loss. If clots were to develop when there was no apparent need then it is more than possible these clots would eventually block the blood supply to a vital organ causing stroke or heart attack. Vitamin K (Phytomenadione) along with several blood clotting factors is absorbed from the intestine in fats. Some diseases can cause problems and make absorbing the fats difficult. Fibrin depends upon the presence of several clotting factor proteins. An inherited disease called haemophilia a group of hereditary genetic disorders that impair the body’s ability to control blood clotting or coagulation occurs when factor VIII is absent or is at low levels, and is more likely to occur in males rather than females. This is because females have two X chromosomes while males have only one. Christmas disease called so after the person who first identified it is another bleed condition and is caused by a deficiency of factor IX. A deficiency of this factor can lead to uncontrolled bleeding or extremely bad bruising occurring following minor injuries. 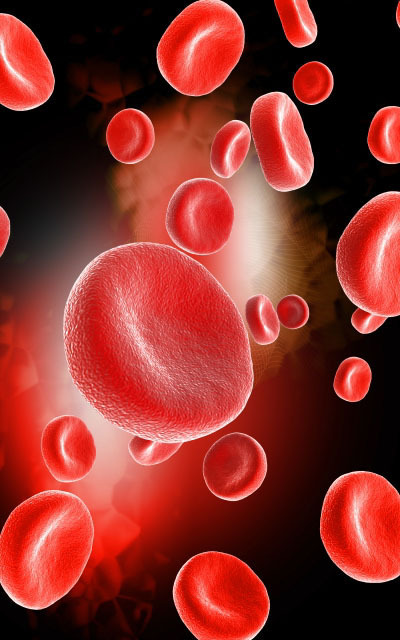 From time to time there comes a need to promote blood-clotting in non-hemophiliacs when bleeding becomes difficult to stop, an example would be surgery, in these cases, blood clots can be stabilized by reducing the action of plasmin with an antifibrinolytic drug like tranexamic acid. This particular drug can also be given to haemophiliacs before undergoing minor surgery. In normality bleeding can occur from many different sources, both medical or accidental. Minor injuries such as a graze, a fall may also cause a bleed. Sadly, However, some individuals do not need a reason to bleed, these people have a tendency for blood clots to form without cause. The problems with blood flow can occur due to fatty deposits, these deposits are also known as atheroma (diseases of the heart or blood vessels) inside the blood vessels will increase the risk of this type of clot-forming. There is also a risk that a clot that has formed from surgery or injury may have a small amount break away, from the main clot, and it is then removed into the bloodstream. This scenario could happen if the patient gets little or no exercise/activity over long periods of time. If an abnormal blood clot forms there is a great risk of it being lodged in a blood vessel effectively shutting off the blood supply to a vital organ such as the heart or brain. This is usually due to a disturbance in the blood flow within the blood vessels. For example, in coronary artery disease, fatty deposits (atherosclerosis) on the walls of the coronary arteries can disrupt the blood flow, giving a tendency for platelets to clump together. There are three types of drugs that are used to prevent and disperse blood clots. These are antiplatelet drugs, anticoagulants, and thrombolytics. The first in this instance is antiplatelet. This drug is generally given to individuals who have a tendency of developing blood clots in the quick flowing blood-stream of the heart and arteries. These drugs reduce the tendency of platelet to stick together when the blood flow is partly blocked by atheroma (fatty deposits). stroke, heart attack, acute coronary syndrome (minor heart attack or unstable angina), atrial fibrillation, a coronary artery bypass operation. High blood pressure, high cholesterol, diabetes or you smoke. The other drugs that would be used to prevent and disperse blood clots are dipyridamole and clopidogrel. In a nutshell, antiplatelet medicines reduce the risk of clots forming in the blood. This reduces your risk of having a stroke or heart attack. Anticoagulant medicines are most commonly prescribed for people who are at risk of developing conditions caused by blood clots, such as stokes, deep vein thrombosis, pulmonary embolism and myocardial infarction. The two most common anticoagulant medicines are: heparin and warfarin. If you are an individual who is at risk of blood clots forming then you would be given an anticoagulant. These drugs help to maintain blood flow by preventing the formation of blood clots in the veins or can stabilize an existing clot so that the danger of a piece of clot breaking away into the circulation and becoming a threat to blocking the blood supply to vital organs, is kept under control (embolism). Patients aged 80 years or more may be especially susceptible to bleeding complications. Although the action of each drug differs all anticoagulants reduce the activity of certain blood clotting factors. These drugs do not dissolve clots that are already established. These clots would be treated with thrombolytic drugs. There are two types of anticoagulants. Where an immediate effect is required, an injection of heparin must be given concomitantly. The other is given by mouth and It takes at least 48 to 72 hours for the anticoagulant effect to develop. Heparin is the most widely used injectable anticoagulant and is used in hospitals during or after surgery. It is also used to form an inner anticoagulant surface on various experimental and medical devices such as test tubes and is also given during kidney dialysis to prevent clots forming in the dialysis equipment. With heparin being of the injectable type, it would not be suitable to be used long-term in the home. A number of synthetic injected anticoagulants have been developed of which some of them act for a longer time than heparin and others are alternatives for those people who have acted adversely to heparin. Warfarin is the most widely used of the oral anticoagulants. These type of drugs are prescribed to prevent blood clots forming in veins and in the heart chambers and are less likely to prevent the formation of clots in arteries. In surgery for replacement of a heart valve, there is a high risk of embolism, oral anticoagulants could be given to prevent this happening. If you are at risk of having a stroke these drugs would be given as a preventative measure. These drugs have one thing in common over-dosage which could result in bleeding in the urinary tract, nose or gums. It is because of this problem that regular blood test would be performed to assure dosage is carefully calculated and the clotting mechanism is correctly adjusted. It is possible that other drugs may interfere with oral anticoagulants which would mean the dosage of these type of drugs may need to be adjusted if other medicines are given. If you are prescribed these drugs it would be advisable to carry a warning card with you at all times showing what drugs you should not be given. As I have already mentioned aspirin should not be given to children under 16 years of age. It is also important for you to remember NOT to take aspirin if you are taken an anticoagulant and then take them only on the advice of a doctor. Thrombolytic drugs are used in medicine to dissolve blood clots in a procedure termed thrombolysis. They limit the damage caused by the blockage of the blood vessel, they’re also known as fibrinolytic. These drugs are used to dissolve clots that have already formed. Medication like thrombolytics are normally given in hospital intravenously to clear a blocked blood vessel (an example of this would be coronary thrombosis). These drugs are most effective if administered immediately after it has been determined they are needed usually within the first sixty minutes. However, it is possible for this advantages timeline to extend up to six hours after the first symptoms show themselves, possibly reducing the size and severity of a heart attack. Thrombolytics may be given intravenously or directly into the blocked blood vessel. The main thrombolytics are streptokinase (Kabikinase, Streptase) and alteplase (Activase). These drugs act by increasing the blood level of plasmin, the enzyme that breaks down fibrin as mentioned earlier in this overview. The most common problem with these drugs is the increased susceptibility to bleeding and bruising. There is also a possibility of an allergic reaction to streptokinase, such as rashes, breathing difficulties or a general discomfort. If you are given streptokinase you would be given a card indicating you have received treatment with this particular drug. This is because it is possible that further treatment with the same drug may well be less effective. Plasma – a liquid containing proteins, nutrients, hormones and waste products, but mainly water, red blood cells – to transport oxygen around the body and remove carbon dioxide and other waste products, white blood cells – to fight infection, and platelets – to help the blood to clot. Below is listed a number of the most common medications used to treat blood disorders. Highlighted medication will open in a new window.